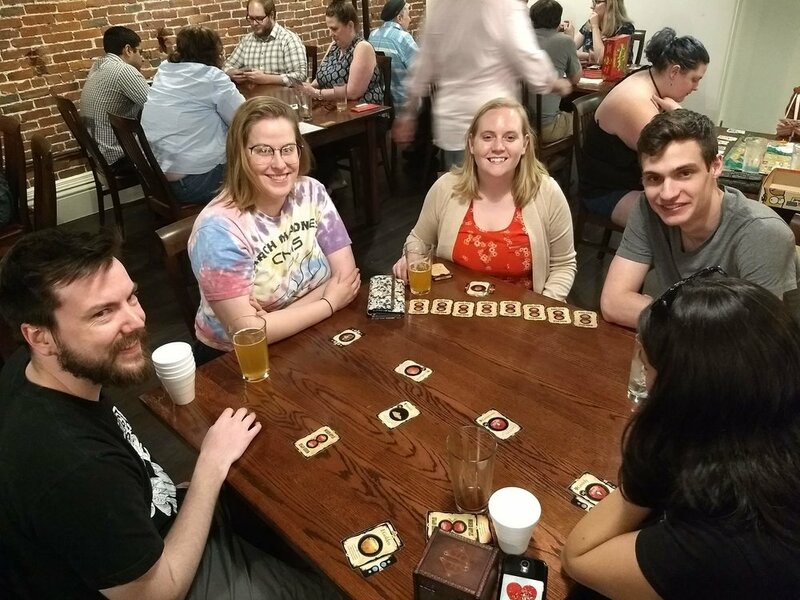 Our hometown got its own board game cafe, Boards & Brews! In May, we helped kicked off their inaugural Local Game. We introduced folks to Wicked Apples while they sampled delicious beer from Lithermans Limited Brewery. One highlight was the group of friends who came to the event as a way to celebrate a birthday. Gaming friends are the best friends! Happy birthday, Hannah! Although we’re still finalizing our 2018 list, we can share that we’re heading to the Big Apple! We’ll be at Play NYC on August 11 and 12 at the Manhattan Center in New York City. Now in its second year, Play NYC is New York’s all gaming convention. It features four floors of 100% playable console, PC, tabletop, mobile and VR gaming. We’re excited to see who we’ll meet! We only have about 2 dozen Seasonal Apples expansion packs left. This limited-run expansion was a one-time print. Once they’re gone, they’re gone! Don’t miss out. Get yours today.